TANKLESS & WATER HEATERS - Benton's Plumbing Company, Inc. While we certainly can install traditional water heaters we recommend using tankless systems if at all possible. Using a tankless system you can save money and never run out of hot water. 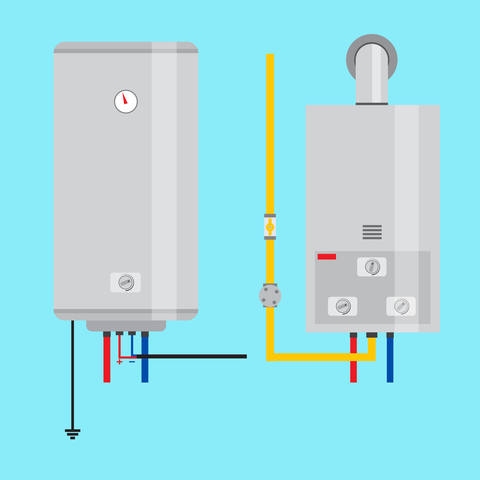 Tankless water heaters are highly efficient systems that have been in use in Japan and Europe for decades. With increasing energy prices in California, tankless hot water systems make great sense for homeowners and offer economical and usage advantages over conventional systems. Also, tankless systems, due to their layout, are expected to survive up to 20 years which is significantly longer than a traditional water heater.